A normal period lasts between 3 and 5 days. During this time, a woman will lose about 80ml of blood, that’s about half a cup. But there are women who have very heavy periods too. The medical term for heavy bleeding during your period is menorrhagia, and this is not as uncommon as you think. About 20% of the female population of the world is afflicted by menorrhagia. This is when there is bleeding that amounts to more than 80ml. But of course, this is not something you’d figure out by measuring the blood loss. However, every woman has an idea of what amounts to a heavy period. You bleed for more than 7 days. And this occurs more than three months in a row. You have to change your tampon or sanitary pad more than five times a day. Women with heavy periods typically have to change every couple of hours, sometimes every hour as well. Your flow is so strong that it interferes with your way of life. You cannot go to work or attend social occasions. If you have to change your plans very often because you have your period or it gets so bad that you have to plan your life around your period, then you have an abnormal flow. A heavy flow is usually accompanied by extra period pain. You may also feel excessively tired and emotionally fatigued. You may experience extreme depression or get extremely touchy. Most women think that heavy bleeding is normal, that there are women with light flows, medium flows and heavy flows, and that they fall into the last category. However, this is not true. Menorrhagia is a medical condition and it can be treated. So if you connect to any of the above symptoms, then you should see your doctor. All women will have a heavy period at some point in their lives. Let’s take a look at some of the reasons for a heavy period. Teens can sometimes have unusually heavy periods as their hormones are still stabilizing. The same goes for women nearing menopause. The hormonal changes that both these groups of women are going through will affect their period flow. Contraceptives such as IUD (Intrauterine Device) normally cause heavy bleeding. The heavy discharge of blood gradually lessens in few month. But if the heavy period continues for more then 5-6 months, you should consult your gynecologist. You may have a bleeding disorder that prevents clotting. This can cause blood to flow constantly as the body is unable to clot it and slow it down. Many women have likened it to opening a tap and feeling a gush of blood. If you have a recurring heavy period, then it is imperative to see a gynecologist so that you can figure out the cause as soon as possible and take curative steps. As is obvious from the above list, the conditions that cause a heavy flow should not be taken lightly as they can be debilitating or even fatal. Although it is not common, there have been cases where women suffering from prolonged heavy flow during their period become anemic due to depletion of iron in the body. In some cases, heavy bleeding has been known to reduce immunity. The women were more likely to develop colds or be affected by whatever bug happened to be making the rounds. The most frequent complication is that of severe depression. Having a heavy flow causes fatigue and stress not just to the body but to the mind as well. This can in turn affect moods, levels of concentration, and ability to focus during the simplest tasks. So how do you know if you are more or less likely to suffer from a heavy period at some point? Well, there are some factors that can put you at a higher or lower risk of developing menorrhagia. Age: The older you get, the greater the chances that you will have heavy periods. This is a frequent occurrence in women approaching menopause, which is when the body is undergoing massive hormonal changes. So if you are over 40, you can expect to be a part of the 25% of women in that age group to have heavy bleeding during your period. Another reason your age is a risk factor is because women over the age of 40 are more likely to develop fibroids which, as we have seen earlier, are one of the medical conditions that cause heavy bleeding. A pelvic exam and an ultrasound will be necessary to rule this out. Pregnancy: Research has shown that women who have had kids will have greater blood loss than women who have never had children. The reason for this is unknown. Genetics: This is a pretty obvious risk factor. If your mom had heavy periods, then you will probably inherit the condition as it is already encoded in your genes. Lifestyle: Do you smoke? Then you are putting yourself at risk for period problems even if you do not qualify with any of the above risk factors. Unhealthy habits like smoking literally change the chemistry of your body, so the effects can be pretty long-lasting. Do refer to a separate article on Harmful effects of smoking on women. The first thing you should do if you have heavy periods is to see your gynecologist. This cannot be stressed enough. A personal visit to a doctor is the only thing that will ensure an accurate diagnosis. It is only then that the underlying condition can be treated properly. There is existing medication to reduce blood flow during your period. If you bleed heavily due to a hormonal issue, then you will be prescribed tablets that replenish the supply of that particular hormone in your body. 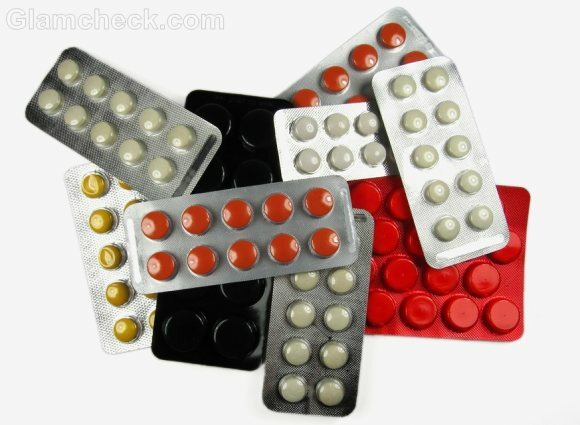 A widely used hormonal tablet is actually the contraceptive pill. It is usually prescribed along with other hormonal tablets to teens and pre-menopausal women. If there is some other condition that is causing heavy periods, then you will be given medication to treat the same. If the problem cannot be cured with tablets, then the only option left is surgery. A hysterectomy is often suggested to women who are nearing menopause. 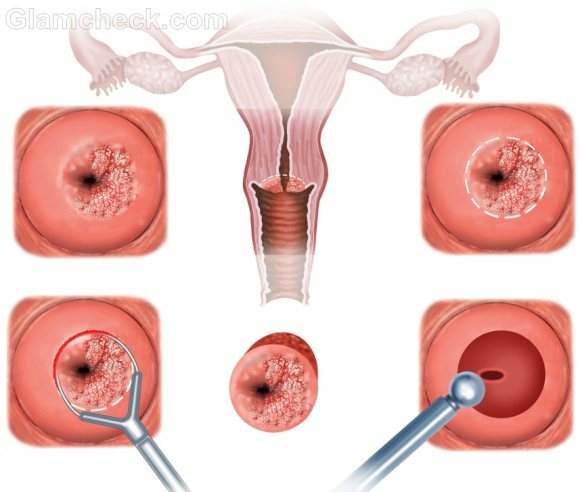 This is a procedure by which either a part or the whole uterus is removed. A woman will have no more periods after this. A less extreme step is dilation and curettage, or D&C. D&C involves scraping the lining of the uterine wall to thin it down. However, this is not a long-term solution. It may help reduce the level of bleeding for a few months, but you will have to figure something else out after that if the problem persists. Believe it or not, something as simple as taking it easy can work wonders for heavy bleeding. Most of us spend our lives multi-tasking and worrying about what else needs to be done. We therefore lose our connection to our bodies and that’s when things go awry. If you can just learn to manage stress better or cut down on the number of things you do on a daily basis, your body will respond by taking care of you better. If you prefer treating your body with natural remedies, then try apple cider vinegar. Mix 3 table spoons of apple cider vinegar to about 8 oz of water and drink at least twice a day. Women all over the world have sworn that this works. It also helps relieve symptoms of PMS such as cramping, moodiness and fatigue. There are also several teas and concoctions that help with excessive bleeding. Cinnamon, yarrow, and coriander seeds in particular are known to be quite effective.